The Heijman lab wishes you and your loved ones happy holidays and a happy, healthy and successful 2019! We are looking forward to continuing the existing collaborations and start many new ones in the year to come! During the last weeks a number of new publications co-authored by members of the team have been published, including 1) a state-of-the-art paper about the impact of molecular mechanisms for cardiac arrhythmia management from the Working Group on Cardiac Cellular Electrophysiology of the German Cardiac Society, 2) an editorial about the potential antiarrhythmic effects of resveratrol, and two original research articles: 3) one paper on predicting the functional effects of genetic variants in SCN5A using machine-learning approaches and 4) one paper about atrial profibrotic, electrical and calcium-handling remodeling in heart failure patients with and without atrial fibrillation. A full overview of all publications can be found here. Last week Jordi Heijman co-organized the 45th annual Computing in Cardiology conference, which attracted almost 400 guests from >50 different countries. The conference started on Sunday, September 23rd with a hands-on workshop using 4 different simulation tools employing the computer facilities of Maastricht University. From Monday until Wednesday, the conference took place at the MECC Conference Center with four parallel sessions with oral presentations and two poster sessions of >70 posters each. Besides high-quality science, participants enjoyed an extensive social program, including a lunch cruise and various activities on Monday afternoon, a visit to the Bonnefantenmuseum and dinner at Ipanema on Monday evening, and a visit to Maastricht city hall on Tuesday evening. After Computing in Cardiology 2018, we also organized the 5th edition of Frontiers in Computational Electrocardiology (FiCE) 2018, this time as a satellite symposium immediately after CinC. The FiCE symposium focused on the translation of computer simulation and image integration to clinical practice and included key-note lectures by Prof. Natalia Trayanova (Johns Hopkins, Baltimore, USA) and Fu-Siong Ng (Imperial College, London, UK). London, 13-16th September 2018: Henry Sutanto presented his project entitled “Subcellular organization of ryanodine receptors and Ca2+ channels modulate the propensity of spontaneous Ca2+ waves and cardiac arrhythmias”, which has recently been published in Frontiers in Physiology, as both oral communication at the Early Career Physiologists’ Symposium 2018 and poster presentation at Europhysiology 2018. In this biennial event organized by The Physiological Society (Physoc), Deutsche Fysiologie Gesellschaft (DFG), Scandinavian Physiological Society (SPS) and Federation of European Physiological Society (FEPS), Henry Sutanto was awarded the best oral presentation after presenting his project in front of more than 100 early career physiologists. The Heijman Lab – September 5, 2018. 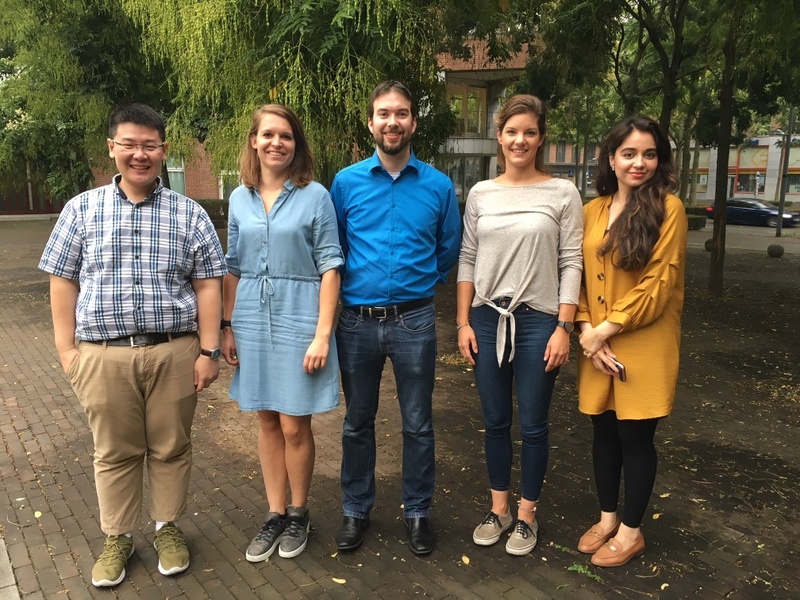 From left to right: Henry Sutanto, Yvonne van Cauteren, Jordi Heijman, Lian Laudy and Fahra Aziz. On September 5, the team came together for the annual lab get-together to enjoy some pizza and drinks to celebrate the excellent results achieved so far this year! Henry Sutanto has received a travel grant from The Physiological Society to attend the Europhysiology 2018 meeting, which will take place in London, UK from September 14-16. During the meeting Henry will present his work on the impact of heterogeneous distributions of calcium-handling proteins on calcium transients and spontaneous calcium waves. Congratulations! Th e ryanodine receptors (RyR2s) and L-type calcium channels (LTCC) are known to be important regulators of cardiomyocyte calcium handling and spontaneous calcium release events (SCaEs). However, the influence of their distribution on the behavior of SCaEs is unknown. 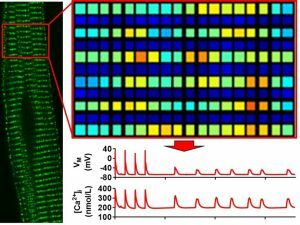 In our most recent manuscript, recently accepted for publication in the special research topic on ‘Recent Advances in Understanding the Basic Mechanisms of Atrial Fibrillation Using Novel Computational Approaches‘ from Front Physiol, we extended our previous spatial calcium-handling model of the human atrial cardiomyocyte to simulate heterogeneous distributions of RyR2 channels and LTCC (in axial tubules) and identified an increased SCaE incidence for larger heterogeneity in RyR expression. We also incorporated experimental RyR2 distribution from rabbit atrial cardiomyocyte and previously published LTCC distribution to create a final model that accommodates these subcellular structures. 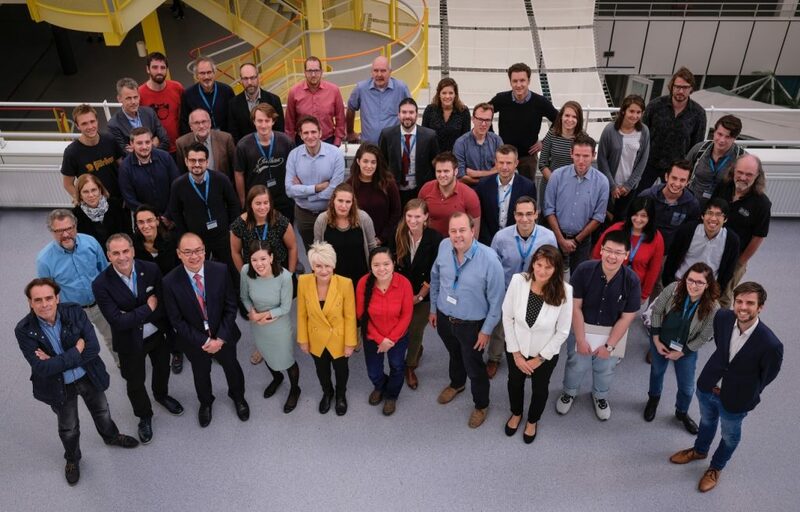 T his week, Jordi Heijman was elected to fill one of the three vacant positions in the nucleus of the European Working Group on Cardiac Cellular Electrophysiology (EWGCCE). The EWGCCE was founded in 1978 and aims to foster exchange of scientific information in the field of cellular electrophysiology. Jordi will be working together with the new chairperson, Dr. Carol-Ann Remme (Amsterdam) and the rest of the nucleus to promote cardiac cellular and translational electrophysiology and represent the interest of scientists working in this field within the European Society of Cardiology.